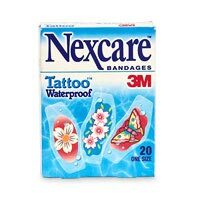 This Nexcare coupon will get you $0.50 off all purchases of the Nexcare brand bandage and is valid until December 31, 2010. This promotion is only valid for Canadians to claim. Limited to one coupon per customer and cannot be combined with any other offers or promotions. Nexcare carry loads of different types of bandage for different types of cuts, scrapes and bumps, from water resistant to heavy duty (absorbent) to stretchy for the sporty people out there.